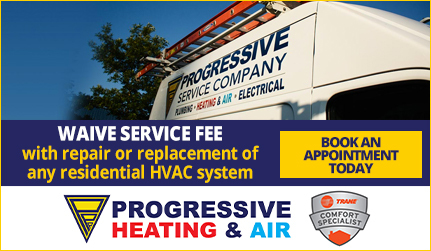 If it’s been years since your home was inspected by a qualified electrical engineer, call Progressive Service Company! Our Raleigh electricians are experts in safety, and will be able to identify fire and electrical hazards, electrical problems, or outdated breakers or electrical wiring that may not be up to code. With an 18 point safety inspection protocol, we won’t miss a thing. 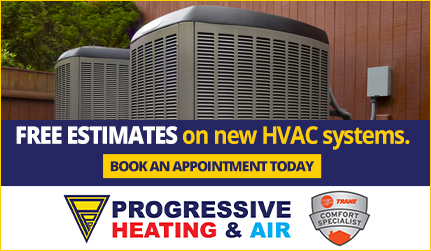 You can rest assured that your home is safe, hazard-free and up to electrical code. We will inspect your home for potential hazards and recommend changes that can be made to avoid dangerous situations. Our comprehensive 18-point electrical safety inspection covers all the bases, so you can rest assured that your family and home are guarded from harm. In our 18 point safety inspection, we’ll examine all aspects of your electrical system thoroughly, verifying that every component has been installed correctly and functions safely. If our electrician finds a problem, we guarantee that you will be fully aware of the the work that needs to be done and the cost of the job before we begin electrical repairs. 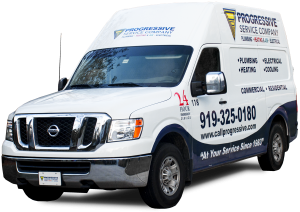 When you call Progressive Service Company you can feel confident that skilled professional electricians are working in your home. 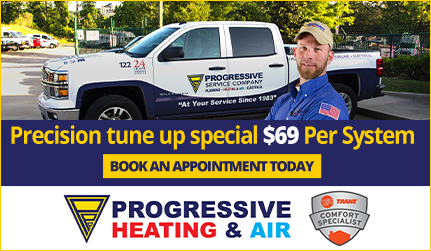 Our staff is committed to quick service and constantly provides the exceptional service that has been a Progressive tradition since 1983. Call us today for an electrical safety inspection of your home in the Raleigh area.